Additional Info: In solo and collaborative roles, Les Nicholas has appeared from Lincoln Center's Alice Tully Hall to St. Martin-in-the-Fields, London. Hailed as a virtuoso performer, he has collaborated with many of the greatest interpreters of chamber music's master works. Trained by legendary performer-teachers of the past generation, Nicholas now brings their expertise forward to pass along to a new generation. 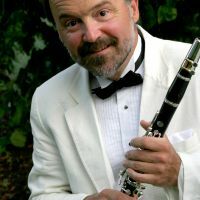 His current projects include private teaching, clinics, master-classes, recitals, recordings, and a diverse and eclectic performance schedule. Les Nicholas is engaging and personable in his concerts, and highly motivating in his clinics and workshops for students of all levels. Les accepts select clarinet and saxophone students into his studio in Virginia. You are invited to contact him today with questions, to schedule performance engagements, or to discuss how he might help you or your students achieve new goals.